The eighth of October wasn't just an ordinary day for Jacob and Tiffany. 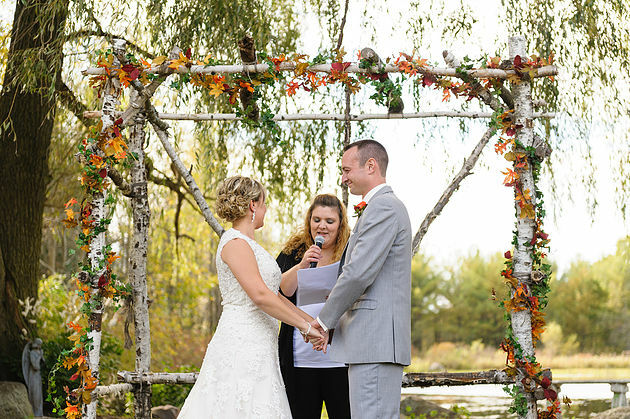 This was the day they would pledge themselves to one another forever at the beautiful Willow Pond Bed and Breakfast in Weyauwega, Wisconsin. The sun shone brilliantly in a nearly cloudless sky as the girls tittered about in the guest house of Willow Pond. The boys were much more relaxed in the barn, sipping on cold brews and joking with each other to pass the time until the ceremony began. Tiffany was an absolute vision in her ivory lace gown. Angelina's Salon in Amherst had done an incredible job accentuating Tiffany's naturally beautiful face. She softly smiled in the guest house kitchen as she read the letter Jake had written to her. Friends and family began to fill the ceremony site, anxious to be a part of this special day. 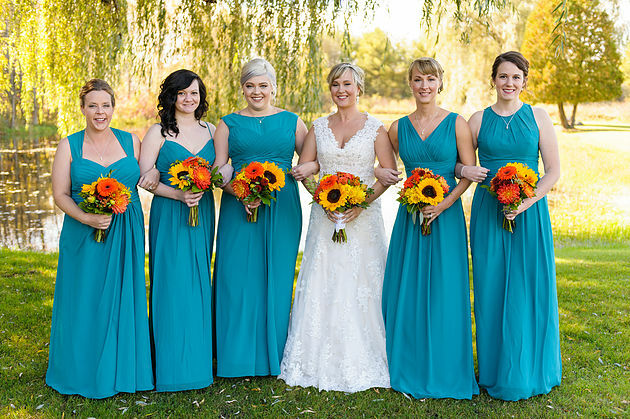 Under the shade of two towering willow trees, Jake waited handsomely for his bride to walk down the aisle. When he caught sight of her being escorted by her parents, he couldn't take his eyes off of her. It felt as though everyone's breath caught in their throats as Tiffany walked towards Jake. Surrounded by the people they loved the most, these beautiful souls shared their vows and sealed their commitment with a triumphant kiss. 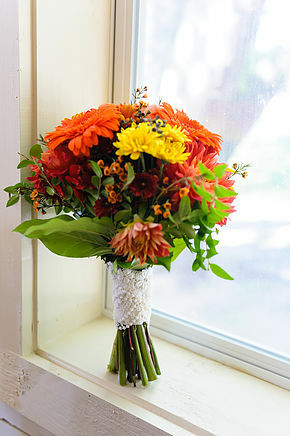 Jake and Tiffany embraced the fall season seamlessly in their wedding decorations. 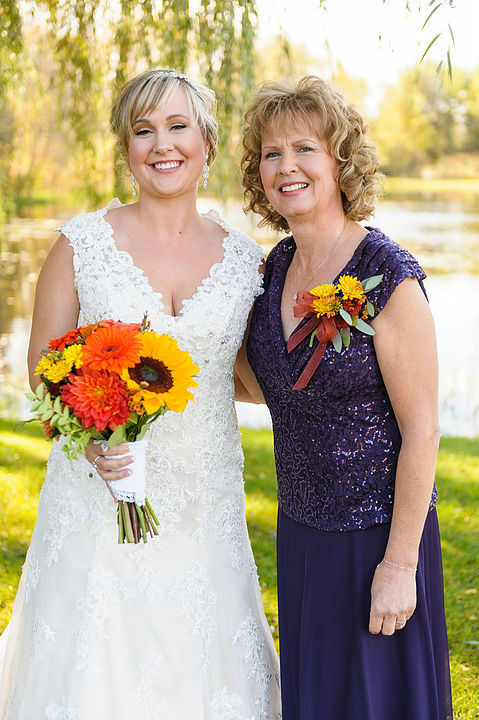 Their rustic wedding venue was adorned with pumpkins they had grown themselves, scattered among twinkling lights and farmers' market flowers. 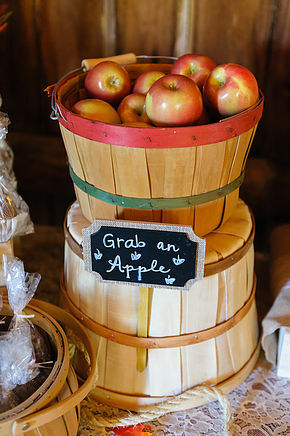 Apple cider awaited guests in the reception hall, and chicken soup warmed everyone to the core. 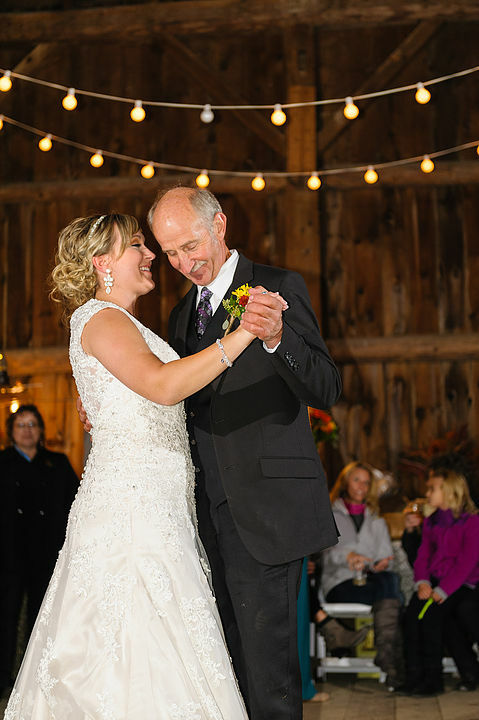 After the couple shared their first dance, the dance floor was rarely empty. Laughter rang through the rafters of the barn. My own cheeks were sore at the end of the night from smiling the whole day. I consider myself so lucky to have been able to share in the joy of Jake and Tiff's wedding day. You two are such wonderful, glowing people, and it simply radiates out of both of you. You compliment each other in a way that couples should mirror and strive for. At the end of the day, you are each other's shelter and relief. It's a beautiful relationship, and I wish you both the best for many years to come. Thank you for welcoming me as your friend.